…..good up to 50 mph wind!! 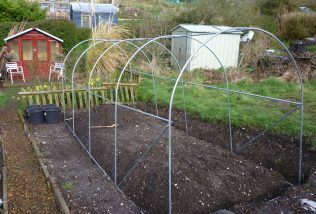 Despite fears and evidence a polytunnel is in course of erection. The wind factor is the big threat. However a promise of tomatoes and exotic fruits awaits…! !